« A New Film With Goats. 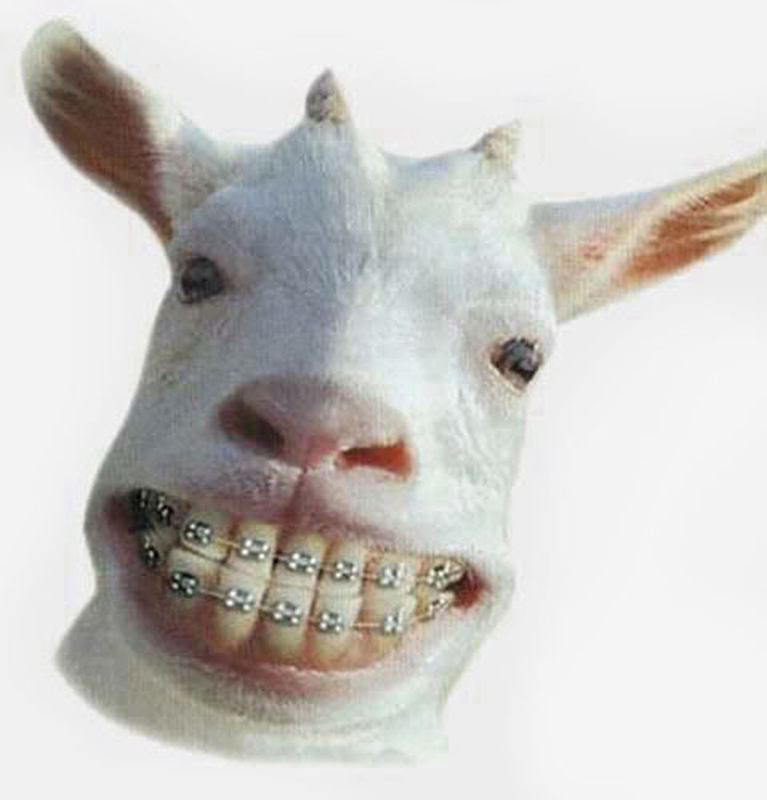 Googling “goat with retainer” I find it’s someone’s avitar, but I don’t think it originates there. That’s right; a retainer is one of those things that you can take in and out, like false teeth. Once upon a time I had the whole lot myself, but I’ve obviously blanked it out. Maybe that’s it, then? I think it’s stuffed rather than photoshopped, but it could be a bit of both. Neither do I. I need some braces in my brain (apart from my teeth). And welcome! Please come back again. … on second thoughts, it’s not fair on readers of A Bad Guide to put up a picture of Berlusconi without warning.